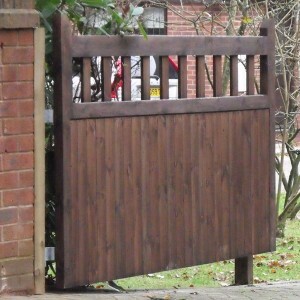 Haydon Entrance Gate - Blamphayne Sawmills Ltd.
With its TGV lower section and its open slatted top and straight top rail, this gate is ideal if you want something strong. elegant and not too imposing. The top rail measures 100mm x 75mm. Available in both Iroko and pressure treated softwood.